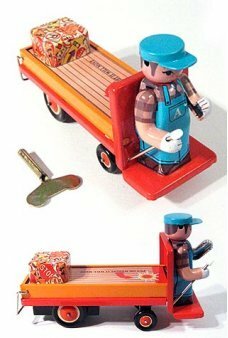 Boys and girls alike love toy trains. 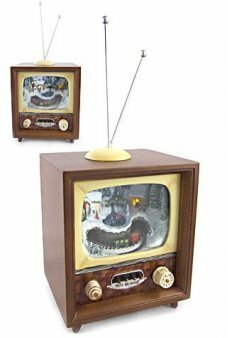 In fact, there seems to be no age limit when it comes to the sheer joy and excitement of playing with scale-model trains and train-related toys. 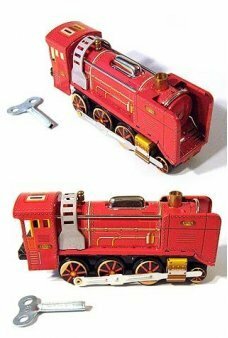 Whether you like to get the train out during the winter season or you want your kids to have an opportunity to play with their trains year-round, we have the classic toy trains that you need to create wonderful memories with your kids. 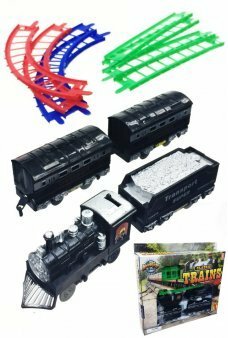 A variety of sizes and track configurations are available, and you can order trains ranging from basic models to those that are age-appropriate for older kids. 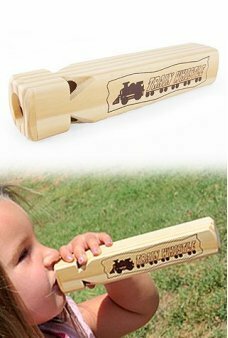 Your youngsters won’t be able to wait to try out their new train, so order today and give your kids a fun and exciting toy that will provide smiles for years to come! 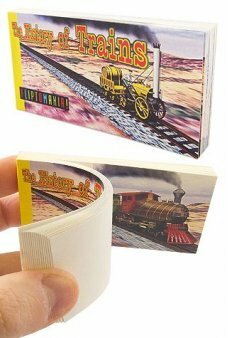 Wild West Fun with our classic Sparkle Engine Train! 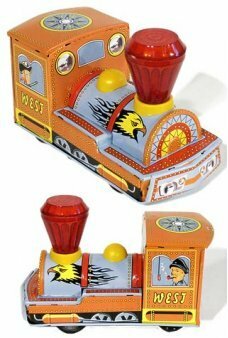 Safe sparks fill our clear red smoke stack when you roll this orang..
Our adorable Monkey drives the Circus Train! The happy monkey wears a red bow tie and an engineer’s cap. This solid resi.. 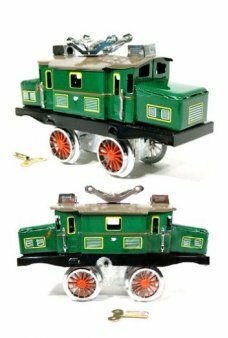 Imagine the era of 19th Century Trains with our Paya Green Locomotive. 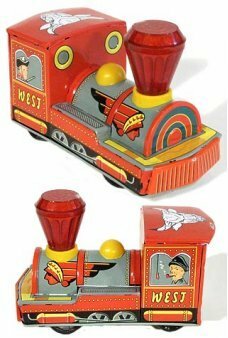 The green, red, and black locomotive toy is a cla..
Take a ride back to 19th century on our Green Tin Toy Trolley. 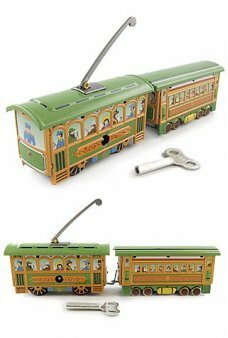 Our high-quality miniature Street Trolley features moving..
Race these 2 Civil War Trains with our Great Locomotive Chase Set. 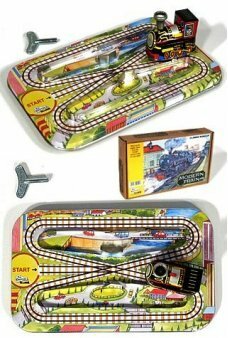 You get one red and one black train to race and chase..
Ride the rails with our Tiny Toy Train set! 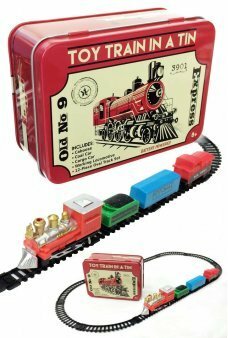 You get a detailed western-style engine, coal car and 2 passenger cars.. 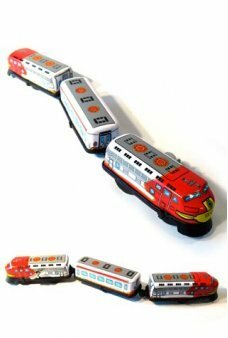 This handsome train features red, white and grey litho on its three cars. 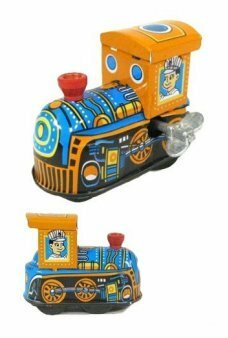 The train's platform is black plastic and the ..
All Aboard, the colorful Schylling Express Railroad! 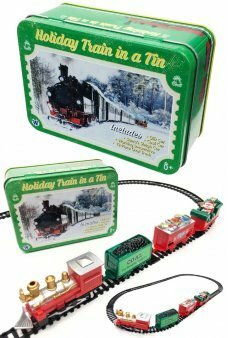 Venture back in time with this reproduction Tin Train. Our beauti.. 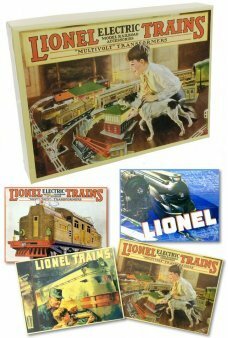 Send greetings with these classic cards featuring Lionel Trains Posters and advertising. 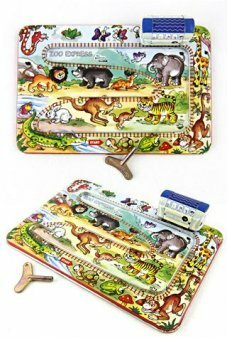 You get 24 cards with 4 differe.. 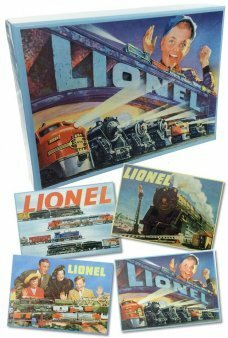 Send greetings with these vintage cards featuring Lionel Trains Posters and advertising. You get 24 cards with 4 differe.. 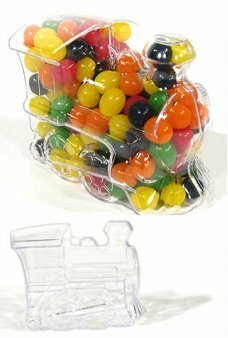 It's a cute clear Western Train to hold candy or hang on your tree. 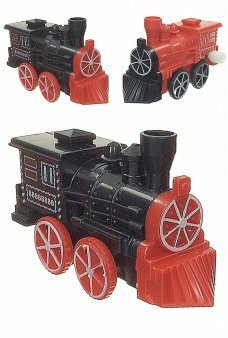 Our classic Western Train is shiny clear plastic. It.. 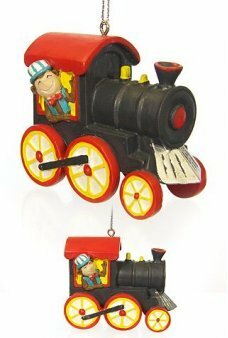 Hang this nice bright red and black Stream Train ornament on your tree. 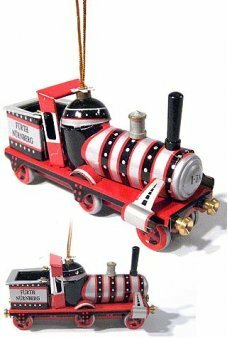 Our adorable striped Christmas Train has wheels ..